Welcome to the website of J. Mark Threadgill & Company, we are a full service fencing, ranch services and construction company. 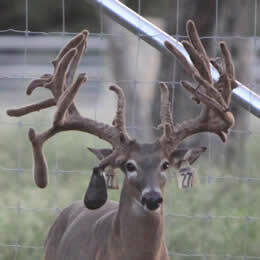 If your trying to keep deer and game, either in or out of your farm or ranch property, we can help. We have several decades of experience in the high deer and game fence construction business, so no job is to big or small. We specialize in high deer and game fencing, ranch services and construction services all across the southern part of the United States. Our coverage area for high deer and game fence construction, includes but not limited to: Arkansas, Oklahoma, Louisiana, Kansas, Mississippi, and Texas. 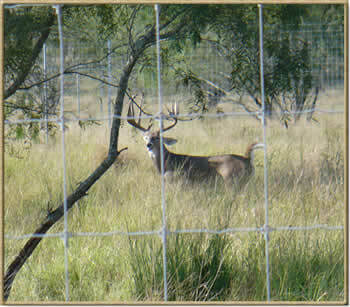 Whether you need breeding pens for raising deer or other exotic game or several miles of enclosed fencing for a hunting preserve, we can provide you with the right deer and game fencing. Satisfaction is guaranteed on all work. 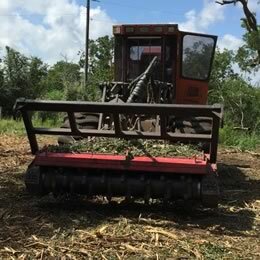 Whether you need some brush cleared, shreading of some pasture land or some new cattle pens built, we have you covered. Our several decades of experience and having all the right tools for the job make us the perfect choice to help you out with farm and ranch improvements you want done. 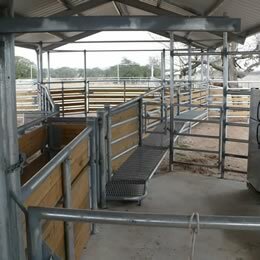 If you need a new pole barn or metal building built, we can help. We have the experience and the equipment to do everything from dirt work for a house pad to completing a several mile long ranch road. J. Mark Threadgill & Company offers the highest quality deer fence materials and installation and is one of the leading High Deer Fence Contractors in Texas. J. Mark Threadgill & Company is a full service ranch services company that offers competitive pricing and can handle any type and size of ranch project you need done. J. Mark Threadgill & Company can build everything from metal buildings to cattle pens and offers competitive pricing and can handle any size construction project.